With so many fires doing the round this year, hopefully it’s the year-end closure for fire at the Hawa hawaii actor’s house. 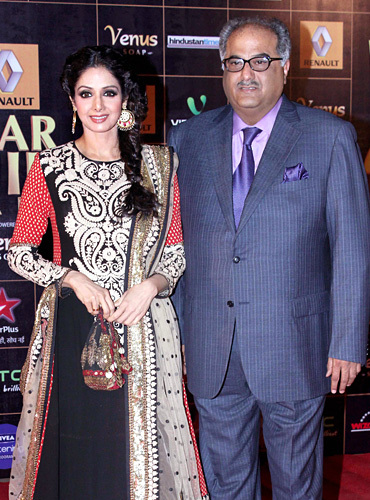 Sridevi and Boney Kapoor’s abode in Andheri West, Mumbai caught fire due to a short circuit in the actresses’ bedroom. However, the starlet and her family are safe and sound, but her bedroom is said to be completely devastated. It was her presence of mind that she immediately switched off the main switch of their residence, and the fire did not spread to other parts of the house. There was no casualty but the fire damaged a portion of the house including precious items. The flames reportedly engulfed the actress’ bedroom, which housed several of her belongings. Apart from her wardrobe, her valuable artworks were also engulfed in the fire. April 26: Moscow psychiatric hospital fire killed 38. June 3, The Jilin Baoyuanfeng Poultry Plant fire killed 119 persons in Mishazi Township, Jilin Province, China. September 13: Fire at a psychiatric hospital in Luka, Novgorod Region, Russia kills 37. September 15: Fire at Hai Duong Trade Center, Vietnam- did not cause causalities but caused a total material loss of VND500 billion (US$23.6 million). October 25: A fire at Diana Vietnam diaper factory in northern Bac Ninh Province of Vietnam (20,000,000 USD). We have seen series of fires in the very year 2013 and wish to see none of it in the coming new year and ahead. We hope Indian Government takes important steps to ensure of what goes inside the building. The main factor of fire spread is the wire and cables. If the cable going inside is monitored then it can help to stop fire promotion with no extra cost and efforts, then why not? We have taken this as our corporate responsibility as enough is enough. Somebody needs to come up with a solution. We cannot afford to lose our loved ones or something very precious to us. We cannot live without a peace of mind too. Why worry about the safety of oneself and loved ones? Why not prevent in the first hand as it gets too late to cure? Why can India not rise when all other countries have made it mandatory to use Fire resistant cables if the building goes above one storey. Why is it that even when we go twenty-storey we have no law to ensure whether we have used fire-resistant cables or not? Why is there no specification in place? Why does everyone play a blame-game when there is an incident? Why does one not come forward, take the responsibility and work towards the safety regulations? It’s sad but the note ends with a why. WHY? Hopeful to get an answer to it in the coming year and not see or hear of any untoward incident. May all stay safe. AMEN! Seven people killed. Four firemen injured with three residents. Twenty-five people rescued. People residing above the 12th floor- trapped in their apartments. They could not come down as the smoke had engulfed the entire floor. 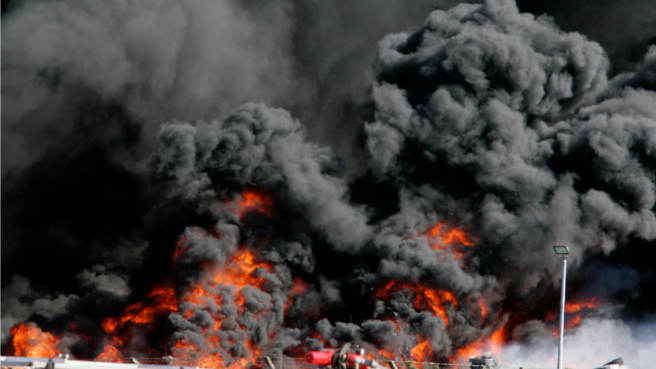 There was yet again a major fire in the city going sky-wards: MUMBAI. 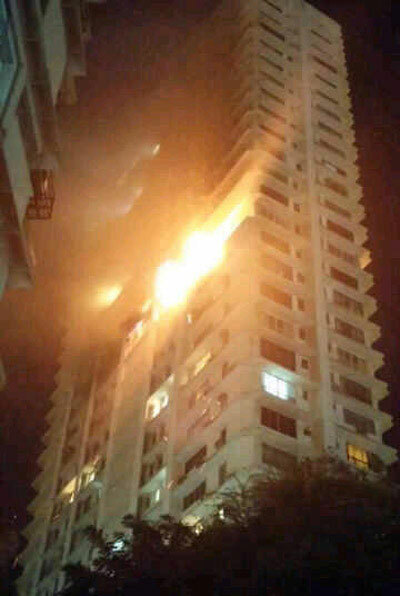 A major fire broke out in a 26-storey Mont Blanc building, an elite residential high-rise in South Mumbai last evening. The fire that started on the 12th floor was restricted to that floor and brought under control after more than three hours. Each floor in the building has two flats. One of the flats on the 12th floor was occupied by Gandhi and his family while the other was undergoing repair works. Residents also reported a cylinder blast in the building, which could not be verified immediately. The injured firemen were rushed to Breach Candy Hospital. Dr Geeta Koppikar, medical director at the hospital, said, they had sustained superficial burns and were stable. She said several residents were brought with symptoms of asphyxiation as well. The building had one central lift, which 5-10 people used to get out of the building when the fire broke out. The lift was stopped soon after. “Realising that fire had broken out, a few of us got into the lift and managed to come to the ground floor. The lift went out of order soon,” said Ajay, a caretaker at a French company’s guest house on the 19th floor. 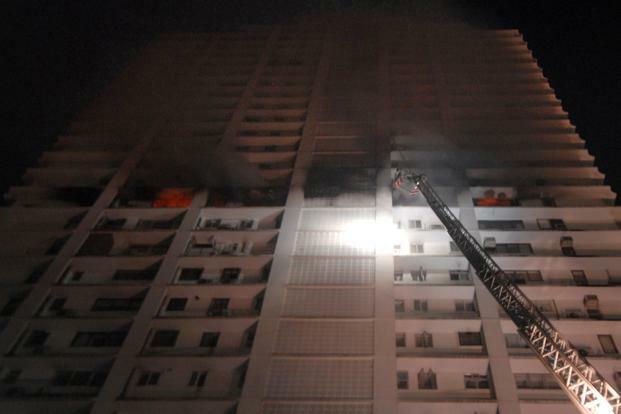 The building had all the fire-safety mechanisms which greatly helped in preventing the fire from escalating to higher floors. Though rescue operations were hampered by the narrow lane leading to the building. The high-rise — which has 52 flats and a swimming pool — is located right next to another skyscraper, the iconic Grand Paradi. Also, Mont Blanc has only one staircase and does not have a fire-escape. “We were constantly in touch with the residents who were trapped inside. We asked them to switch off their gas connections, keep a lot of water next to them and a bundle of towels,” said a fireman. The Indian television industry might be growing at a rapid speed and making big-budget shows, but basic safety measures on the sets are still not up to the mark. The massive fire on the sets of Sanjay Khan’s historical show, Tipu Sultan, in 1990 should have been a glaring example for the industry to learn from. 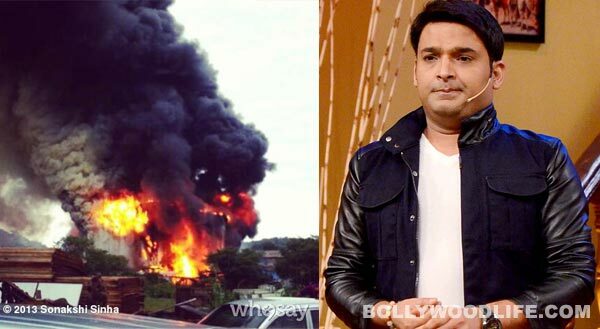 Yet, here we are, expressing shock over the fire on the sets of stand-up comic, Kapil Sharma’s TV show, Comedy Nights With Kapil. The disaster has shocked and upset many in the industry. But if you think these instances are few and far between, you are wrong. Similar accidents have happened in the past too. 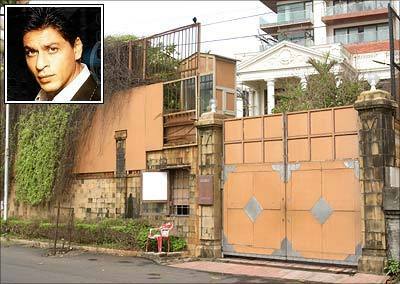 The very next month, November 2013, we heard of a minor fire break out in Bollywood star Shahrukh Khan’s beach-facing bungalow ‘Mannat’ located in suburban Bandra West tonight, after a short circuit. The short circuit, which occurred in a bathroom’s exhaust fan, set off the bungalow’s fire alarm. The blaze was quickly brought under control after alert security guards called up the fire brigade, which rushed two fire engines to the spot. We lose so much in the run. We express anger and play the blame-game but nothing shall benefit. Law and conduct should come into place and speculated and so must one and all follow. Life is precious, it is!